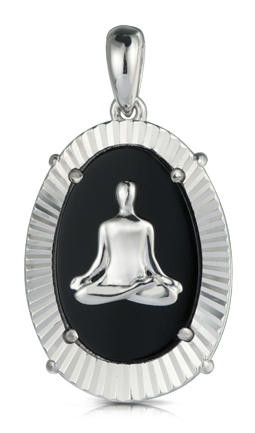 The sturdy Dhyana Tag Pendant features a meditating silver yoga figure set on a black backdrop. Bordering the backdrop is a silver patterned border. The Dhyana Tag Pendant is 925-silver. The backdrop is black onyx.